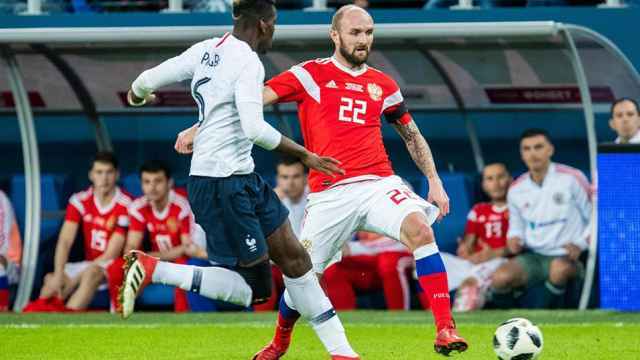 The Russian Football Union will reportedly investigate racist chants by fans in St. Petersburg directed at French players during a friendly less than three months ahead of the 2018 World Cup. 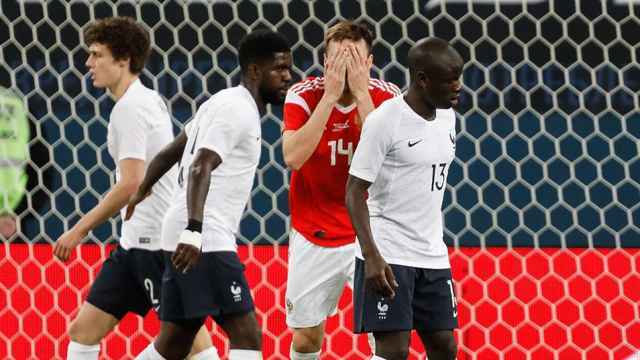 The monkey chants were audible on a live broadcast Tuesday after French midfielder Paul Pogba scored in a 3-1 win over Russia. 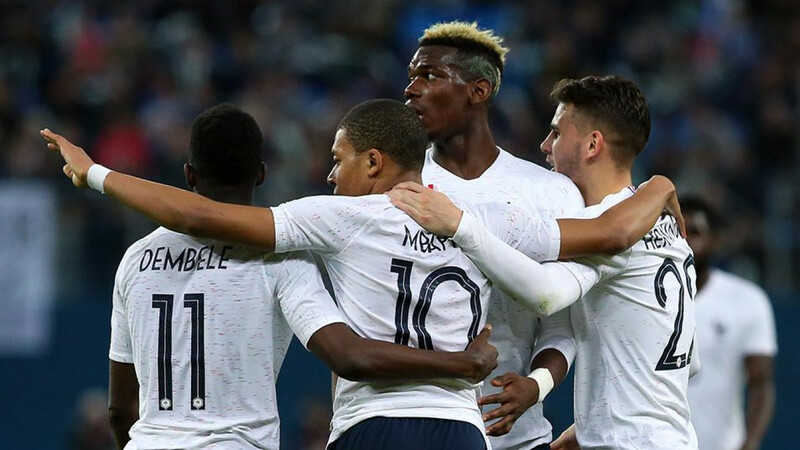 The head of the Fare Network anti-discrimination NGO has called on the world’s footballing body FIFA to initiate proceedings, the Associated Press reported Wednesday. 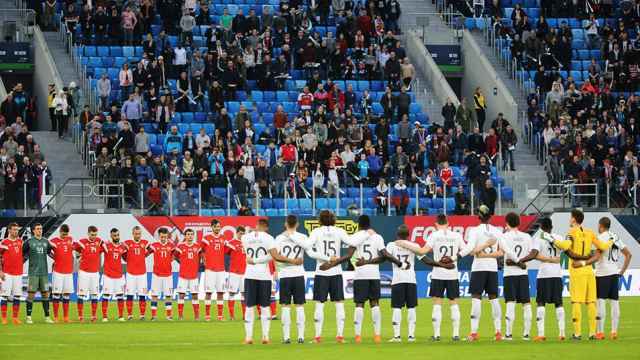 Alexei Smertin, the Russian Football Union's anti-discrimination officer and a former Russian national team captain, told the Championat.com sports news website that the union is “closely” investigating the reported chants. “As soon as there are final results, we will certainly disclose them. If violations are detected, appropriate measures will be taken,” Smertin said Wednesday. Russia hosts the World Cup from June 14 to July 15 in 11 cities including St. Petersburg, the site of Russia’s group-stage match against Egypt, as well as Morocco-Iran, Nigeria-Argentina and Brazil-Costa Rica. St. Petersburg Stadium is also set to host the semifinals on July 10.